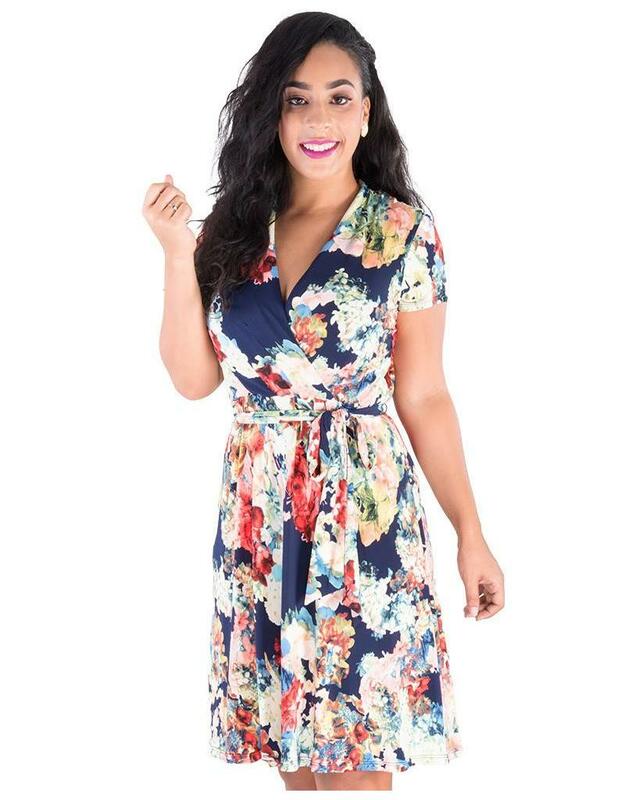 Bring your closet alive with the vibrant floral print faux wrap dress. 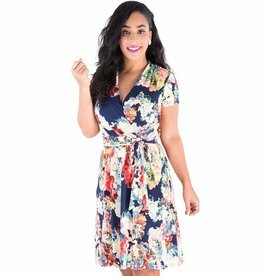 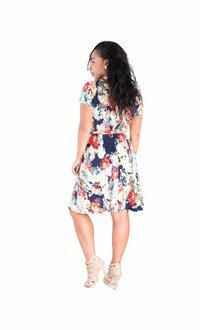 Created in the contemporary floral design, this dress features a v-neckline, cap sleeves, fitted waist, faux wrap with a matching printed sash at the waist. 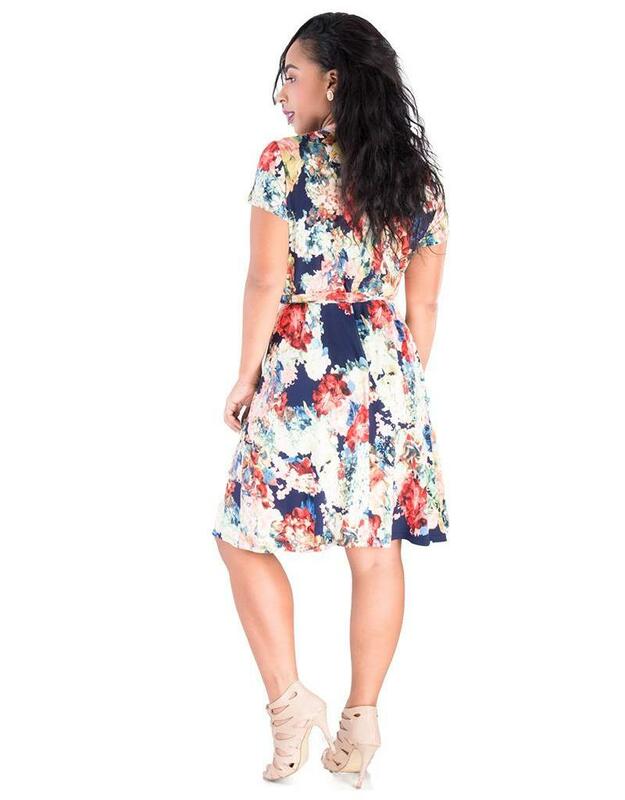 The skirt of the dress is a-line and ends just about the knee. 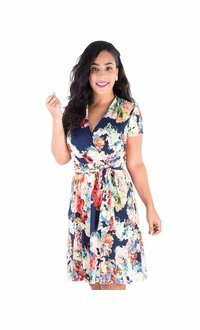 Pair this dress with wedges for your next garden affair, amp up the styling with a clutch and necklace set from our collection.